“One can climb – at once – to the 30th step by practicing humility and love. Because, love and humility surpass any virtue”. 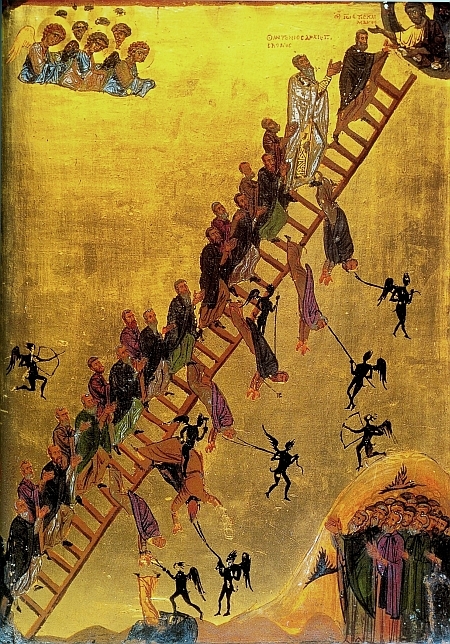 Found mostly in older churches and monasteries, “The Ladder to Heaven” is the iconographic image of St. John Climacus book called “The Ladder of Divine Ascent”. 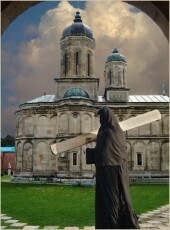 The book and the icon are also known as “Leastvita,” in Slavonic “the ladder”. St. John Climacus lived between 579-649 in the monastic community of St. Catherine of Mount Sinai; for many struggles he took on in this monastery, he is also called “St. John of Sinai”. 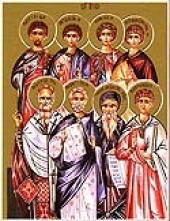 St. John entered the Sinai community at the age of 16, after having been instructed in many sciences of the time. 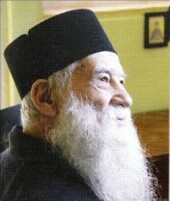 For about nineteen years, the saint had as holy confessor, the Blessed Martyrios of Sinai. 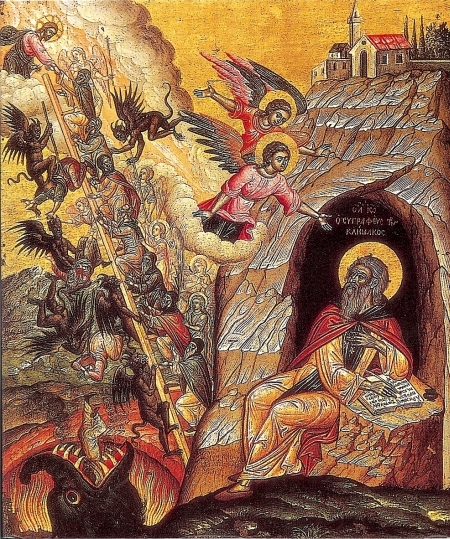 After the passing away of his elder, St. John withdraws into the desert, in the cell called Thola(s), few kilometers from the monastery of Sinai. In this solitary place, Saint John will continue his ascetic struggle for forty years. 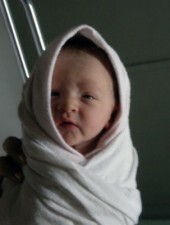 At the request of the monastic community of Mt. 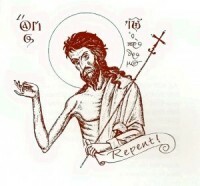 Sinai, St. John became the abbot and spiritual instructor of the convent. Later, at the request of Blessed John form Raitt, saint John will write “The Latter of Divine Ascent”, a book divided into thirty chapters or steps necessary for salvation. 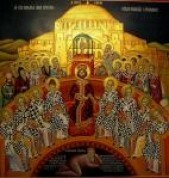 This work was translated into many languages and became an important part of the Philokalia. 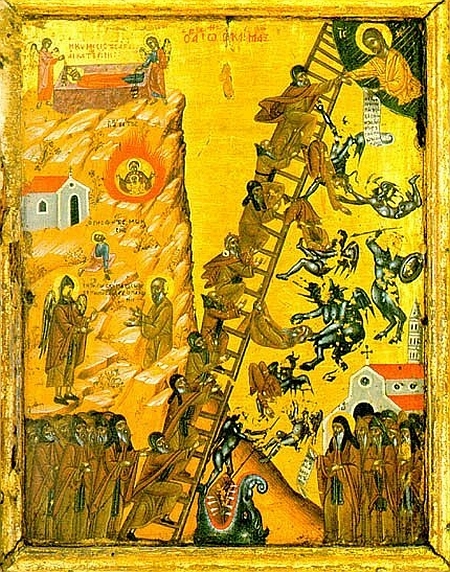 According to the writings of Dionysius of Furnas, recorded in his book “The Erminia of Byzantine painting”, the icon often called “The ladder of/to Heaven” is closely related to the work of St. John of the Ladder. 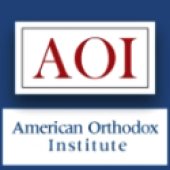 It should be noted that the ladder of salvation does not pertain only to the monastics, but also to the Christians in the world, whether married or not (see commentaries of St. Theophan the Recluse on The Ladder, Instructions for the layman). 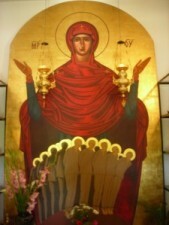 A monastic community is depicted at the bottom of the icon, on both the right and the left sides. Monks of different ages are represented standing at the gate of the monastery and looking towards the ladder. 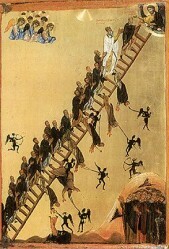 The Ladder of Divine Ascent, shows thirty steps by the number of chapters (stages) written in St. John Climacus’ book. In some iconographic representations, the Ladder has 33 steps according to the number of years Christ lived on earth. The Ladder is placed in an inclined position with its lower-end supported on the ground and its upper-end touching the Heaven. Monks are represented on the entire length of the ladder, climbing towards Heaven. These monks are an imagine of the spiritual life: some are just reflecting, others set foot on the first step, some are climbing slowly, others rise more quickly, some other fall off the ladder (from all levels), while others reach its end where Christ awaits them. 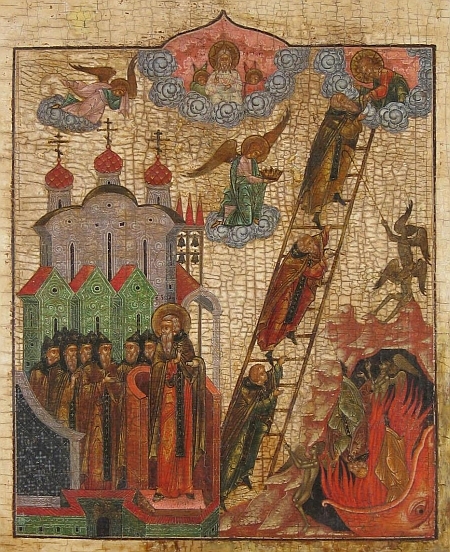 The top of the ladder depicts many angelic figures, each helping one monk on his way to salvation; while some monks are just guided by the angels, others are taken by the hands. At the bottom of the ladder, we can see more or less creepy figures, which represent the devils, each striving to pull down a soul. 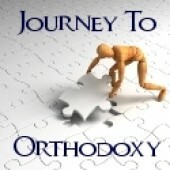 Some monks look unhindered towards Christ, while others barely keep one foot on every single step. Few angels are working to remove the demons with long spears. At the last portion of the ladder, our Savior is portrayed in a bright medallion/ light. 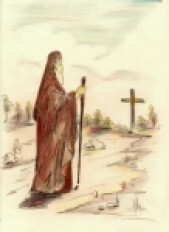 The monk on the last rung of the ladder is depicted as being old and wise, clothed in humility and looking towards Christ. In return, our Savior catches him by the hand, while crowing his head with the crown of victory. At the bottom of the icon, a terrifying dragon with its mouth wide open imagines hell. Between the sharp teeth of the dragon is a fallen monk, while others are about to fall.